There were 191 lots of medals and militaria in this sale. Lot 25 was a rare combination as the soldier served in 2 regiments, with medals from the reigns of 3 monarchs including the 1903 Tibet Medal. This sold to a room bidder for £1300, despite 2 medals being damaged. The later Victorian campaigns were well represented with a number of good groups. Lot 33 was a Sudan and Boer War group of 4 to Private Robertson, Cameron Highlanders, who was captured by the Boers in a Victoria Cross action. It sold for £826. 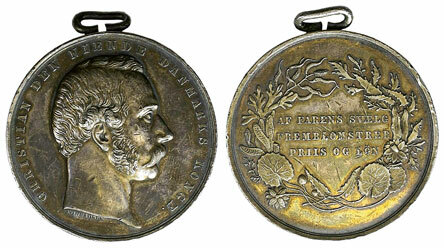 A rare 1903 Sea Gallantry Medal & Danish Medal For Saving Life, to John Hay, sold on estimate for £1,400. Both were awarded as a result of the wrecking of the 'Xenia' off the Scottish coast. WW1 gallantry was again well represented in the sale with 2 Military Cross groups, a Distinguished Conduct Medal group and 6 Military Medal groups. The MC group of 6 to Lt Col F.N. Jennings R.A. sold for £1298. 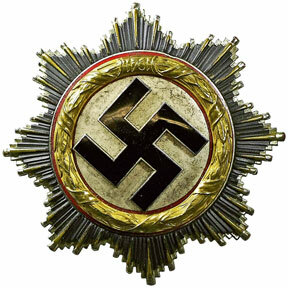 There were 8 lots of foreign medals with a 1942 German Cross in gold selling for £944. There was a good collection of US 19th century swords in the militaria section and lot 158 was a 1821 Model Mounted Artillery Officr’s sword which sold for £620. Our next Medals & Militaria auction will be held on Wednesday 19th October 2016. Look out for the full catalogue for this sale, which will appear on our website in the next few weeks. Also keep an eye on our Twitter and Facebook pages which will include updates of our latest auction news. 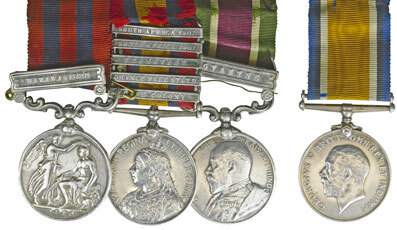 Are you thinking of selling your Medals & Militaria collection or part of it? Would you like us to value your Medals & Militaria and give you advice on how best to market them? Visit our Medals & Militaria department page for more information.